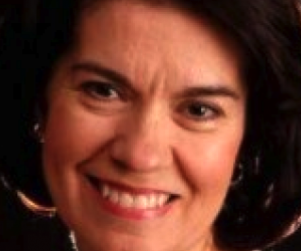 Linda Harvey To Closeted Teens: Stay In There And Remain Miserable! Linda Harvey, who is not known for compassion, is back with some of her trademark “Christian love,” telling Janet Mefferd that closeted gay kids should stay in there. She adds that “parents and friends should tell gay teens that ‘lots and lots of people have changed out of this lifestyle. '” Let’s translate this out of wingnut speak and into English, shall we? 1. Telling closeted gay kids to stay there is telling them to remain miserable. Having been in the closet during my teen years, I remember the personal hell of not being honest with myself about who I was, and I remember how abusive the “Christian” messages I received on the subject were. Linda is basically telling these kids to stay depressed and stay silent. 2. Telling them that “lots and lots of people have changed out of this lifestyle” is simply a lie. Why would parents and friends want to lie to a gay kid? Even more, kids these days have the internet, and if they’re savvy kids, it won’t be hard for them to find out that “ex-gay” therapy is consumer fraud, without any basis in science, and ruins lives.